the adjacent valley sides join and are carried on top of the enlarged glacier. 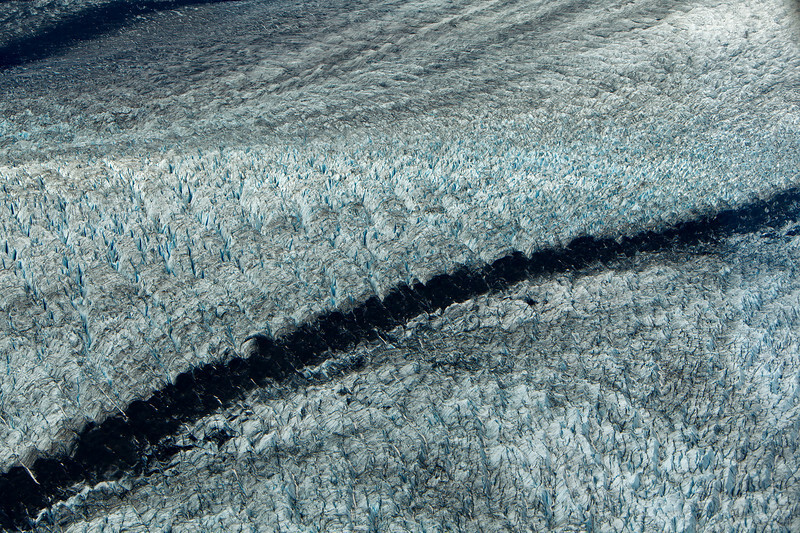 As the glacier melts or retreats, debris is deposited and a ridge down the middle of the valley floor is created. Viewed from our float plane from Wasilla to Talkeetna, AK.